The person you confide in most at work. The girl in your study group. The guy you play basketball with. Your teenager’s best friend. We all know someone who has been affected by domestic violence. Together we can end domestic violence. The Lassen County Board of Supervisors passed a proclamation on behalf of Lassen Family Services declaring October as Domestic Violence Awareness Month at its Sept 26, meeting. Lassen Family Services is the only domestic violence prevention agency in Lassen County. Together with your help supporting the agencies mission of ending abuse in our community through prevention, healing, advocacy, safety and education, compassionate intervention and effective partnership with local community and social service agencies that will support the victim’s journey to empowerment. Lassen Family Services, partnering with Lassen County Child and Family Services and the CAP-c, plan to bring multiple awareness events to the community this month. On Oct. 7, look for the purple booth at the Rails to Trails Festival where you can try our delicious, five-bean chili and information booth about what each of these programs offer. 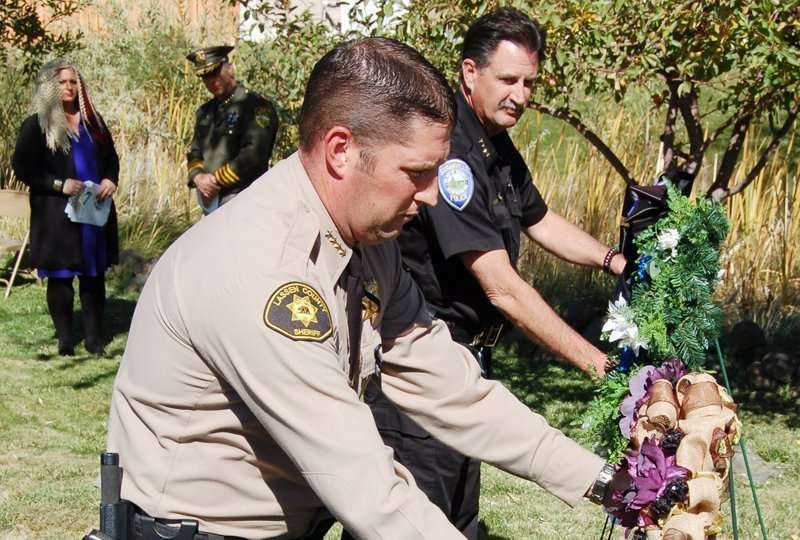 On Oct. 11, a wreath dedication ceremony is planned at noon at the Lassen County Sheriff’s office to honor our local fallen heroes Larry Griffith, Rob McElrath and Jack Hopkins. On Oct. 19 wear purple and send your pictures in to Lassen Family Services Facebook page. At 7 p.m. Oct. 20 and 21 residents can support the community by attending the “Dancing For a Brand New Me” fundraiser at Susanville’s Veterans Hall. And find us Uptown at Susanville’s Safe ‘n’ Sane Halloween event. You may notice the storefronts in town during the month for the “Paint the Town Purple” awareness campaign. All of these events in partnership with CFS and CAP-C will show your community’s commitment to preventing domestic violence and child abuse in our state, city and in our homes. Domestic violence is a pattern of behavior used to establish power and control over another person through fear and intimidation, often including the threat of, or use of, violence. •Exerting strict control – whether financial, spiritual, social and/or appearance. •Needing constant contact – including excessive texts, emails and calls. •Insulting a partner in front of other people. •Isolation from family and friends. •Frequent canceling of plans at the last minute. •Unexplained injuries or explanations that don’t quite add up. Break the silence. Speak out. Seek help when you see this problem of harassment of any kind in your family, your community, your workplace or school. 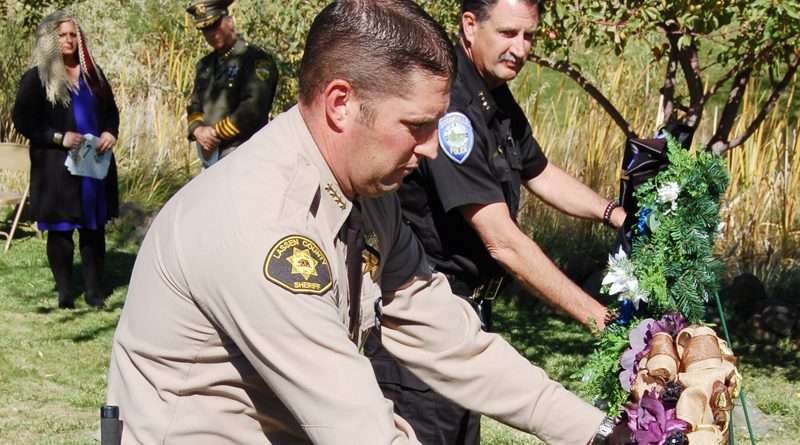 During 2012, 1 in 48 residents in Lassen County received some form of assistance from Lassen Family Services, and the agency served more than 208 victims of domestic violence within our agency. Domestic violence is preventable, and it’s time we speak out loud to end the violence and get around making excuses. “It’s just a woman’s issue.” Domestic violence affects men as well as women and occurs in every socio-economic and ethnic group in the country. Don’t dismiss domestic violence because, “He comes from such a good family.” There is never an excuse for domestic violence. “I’ll say something next time; it’s none of my business.” Domestic violence should never be ignored and is everyone’s business. “She warned him.” Domestic violence is never the victim’s fault. “We don’t talk about that.” Domestic violence is a difficult topic to discuss; it’s time to start the conversation. No more excuses, no more silence, no more violence.